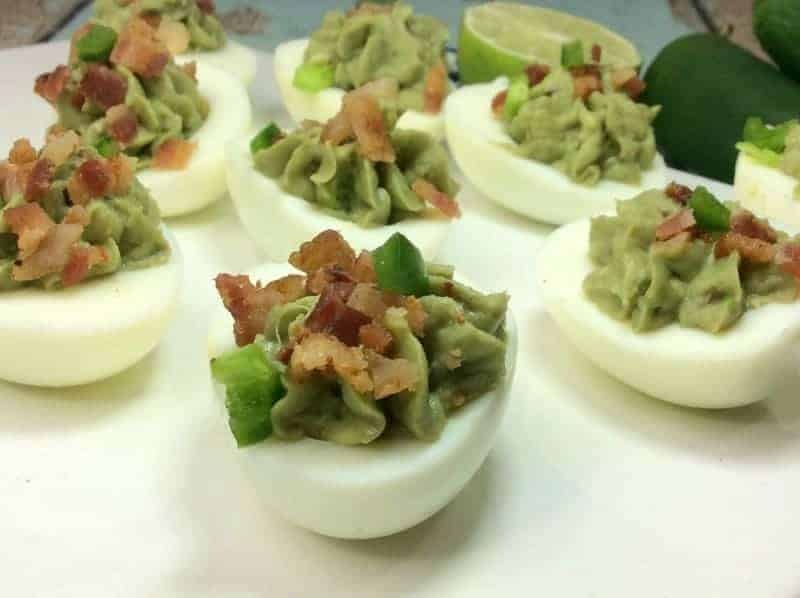 This Avocado Deviled Egg Recipe is a great healthy alternative to the traditional deviled eggs and they are so full of flavor too! 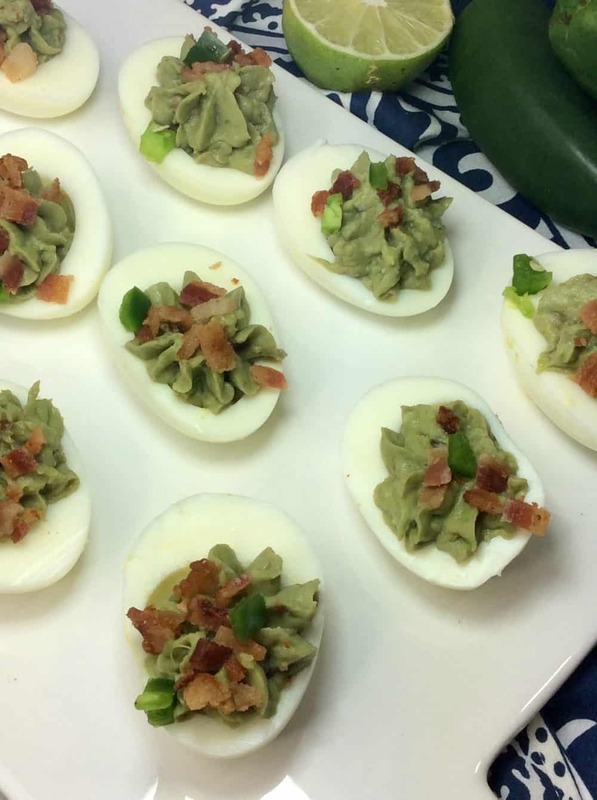 This avocado deviled eggs with bacon recipe is a delicious and healthier way to enjoy deviled eggs. Every year I am in charge of making enough deviled eggs for everyone at our big family Easter Dinner at my sisters house. Usually that means I just make the traditional deviled eggs that we all know and love. 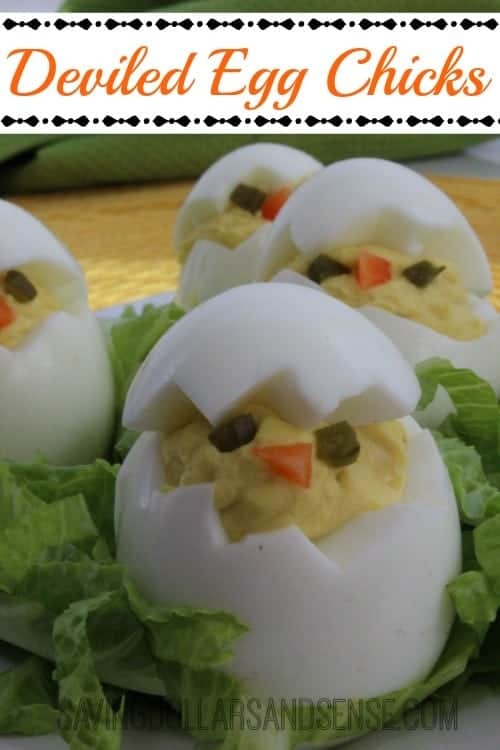 If you are feeling fancy, you might want to give these Deviled Egg Chicks a try, but I will warn you it takes a LOT of patience to get them to come out awesome. Use 3 of the yolks only. In a medium size mixing bowl add your egg yolks and avocados. Add in lime juice, onion to your egg yolk mix. Scoop a spoonful of the avocado mixture into the halved eggs. Top with bacon and jalapeños.